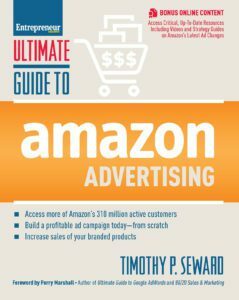 Recognizing the profitable Amazon growth we’ve been attaining for our clients, Entrepreneur Press chose to partner with our CEO, Timothy P. Seward, to publish this Ultimate Guide to Amazon Advertising. Our deep understanding of the Amazon Advertising platform has been hard-fought over multiple years — through gleanings from Amazon insiders, the work of our innovative analysts, and insights from our pioneering clients. As reflected in feedback we’ve received from well-respected brands and industry veterans, this book will clarify your path to profitable business growth on Amazon. This timely book is perfect for every brand or product marketer who wants to fully leverage the Amazon platform – both for sales and brand exposure. Timothy’s practical step-by-step advice is simple to follow and to put into practice. This book should be called the Ultimate Guide to Amazon because it’s so much more than just advertising. It’s really about building your brand on Amazon. Timothy is able to walk someone through how to do this step-by-step, it was easy to follow. I really enjoyed it. Invest a couple hours reading Timothy’s book and you will expand your toolkit to build a stronger, more profitable business selling on Amazon. 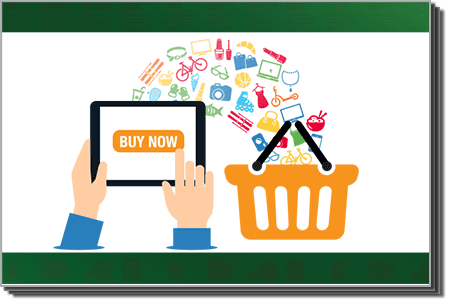 Learn how to develop your advertising strategy including product awareness, brand awareness, brand preference, and customer loyalty on and off Amazon. 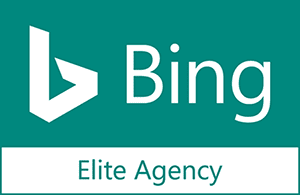 Timothy and his team live and breathe digital advertising. His book does an amazing job of describing how to grow your brand on Amazon. I plan to make it required reading for all of my future hires. I read Ultimate Guide to Amazon Advertising with anticipation because Amazon continues to be a dominant force in the e-commerce world, and I knew from Timothy’s experience in the industry and success with his own company, ROI Revolution, that it would be a worthwhile read. I was not disappointed, as it is a useful book for everyone – from beginners to experts – and is written in a concise way that is both practical and enjoyable. I would highly recommend it for anyone who wants to start selling on Amazon, or needs to brush up on the latest offerings from Amazon and techniques to succeed. The world of Amazon Advertising can be very overwhelming to learn, let alone to succeed in. 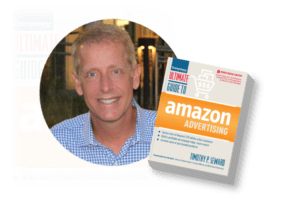 Timothy does a masterful job at covering important aspects of Amazon Advertising which make it easy to understand where to begin your brand’s quest for success on Amazon. Absolutely glad I picked this up! Ultimate Guide to Amazon Advertising! Access our latest complementary resources below while you wait for your copy to arrive.